Trump may stop spouses of H-1B visa holders from working in the U.S. 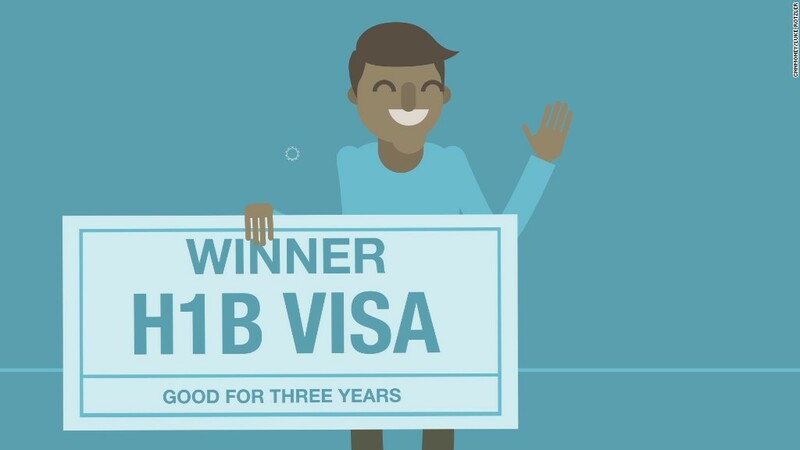 It's not an easy time to be an immigrant working on an H-1B visa in the U.S. It could be about to get a lot worse. The visa program used by several industries to bring skilled foreign workers -- many of them Indian citizens -- to the U.S. is facing potential curbs under President Trump. Their partners and children could be next in the line of fire. Since 2015, spouses of H-1B visa holders waiting for green cards have been eligible to work in the U.S. on H-4 dependent visas, thanks to a rule introduced by President Obama. But a group called Save Jobs USA is challenging that rule in court, and the Trump administration has asked for 60 days to think about it. The U.S. Department of Justice filed a petition last month asking to be given until April 2 "to allow incoming leadership personnel adequate time to consider the issues." Immigrant support groups worry the delay means Trump will eventually overturn Obama's ruling. "The recent statements from the government present an unacceptable risk... that [the] DOJ might decide after 60 days to adopt the position of Save Jobs USA," said Aman Kapoor, the co-founder of the Immigration Voice advocacy group. In a statement, Kapoor pointed out that Attorney General Jeff Sessions has previously said the H-4 ruling "hurts American workers." Immigration Voice filed a motion this week to intervene in the case on behalf of thousands of its members currently working in the U.S. on H-4 visas. "Immigration Voice decided that intervention in the Save Jobs lawsuit was the only option to protect the rights of our members and their families, including children who are U.S. citizens," the organization said. In its petition, it cites two examples of members who stand to lose out if the legal challenge is successful: Sudarshana Sengupta, who plans to launch a startup for developing cancer strategies, and Anujkumar Dhamija, who recently invested about $55,000 to start a business remodeling luxury homes. Both say their companies will create jobs for Americans, but not if Trump decides to stop them from working. Sengupta has a nine-year-old son while Dhamija has a two-year-old daughter. Both children are U.S. citizens. "If this program ceases to exist, I will lose all my investment in the new business," Dhamija said in the statement released by Immigration Voice. "I will face significant financial hardships and won't be able to provide for my growing family." In India, which accounts for 70% of all H-1B workers, there are signs that the uncertainty may be scaring away prospective spouses. Shaadi.com, one of the country's most popular matchmaking websites, told CNNMoney on Wednesday that the number of women seeking eligible bachelors in the U.S. fell by about 15% between November and February. "That may be due to the political developments in the U.S.," a representative said.